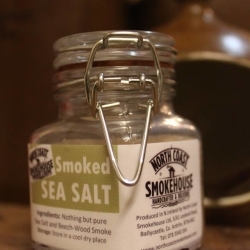 The smoke is produced the old fashioned way, by simply burning small quantities of wood. They don’t use liquid-smokes, paints or dyes. 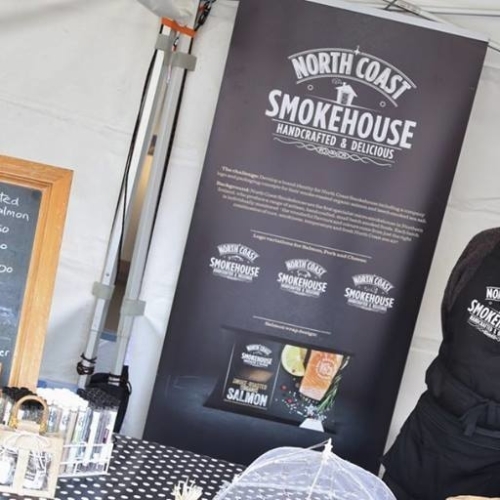 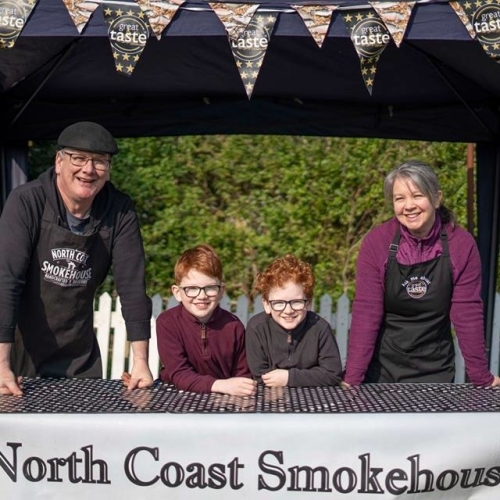 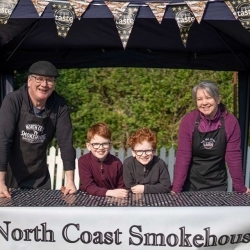 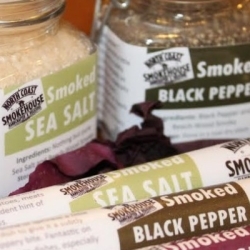 Their wonderful flavours and colours come from just the right combination of cure, smokiness, temperature, time and fresh sea air.Smoke-roasted organic salmon, smoked condiments: sea salt and black pepper (a new one on us), and smoked dulse seaweed.Online, at markets, local butchers, green grocers and delis, restaurants and B&Bs.